Elizabeth Arden Eyebrow and Eyeliners are very easy to use and give a glamorous and subtle finish with ease. Choose from Smoky Eyeliners, sharper lined eyes with their Liquid Eyeliners and natural brow shapers in both powder and pencil form. Elizabeth Arden Beautiful Color Natural Eyebrow Pencil Honey Blonde creates ultra-fine, hair-like strokes to fill in, shape and define eye brows for a long lasting and beautiful look. Elizabeth Arden Beautiful Color Natural Eyebrow Pencil Natural Beige creates ultra-fine, hair-like strokes to fill in, shape and define eye brows for a long lasting and beautiful look. 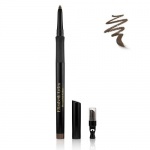 Elizabeth Arden Beautiful Color Natural Eyebrow Pencil Black creates ultra-fine, hair-like strokes to fill in, shape and define eye brows for a long lasting and beautiful look. Elizabeth Arden Beautiful Color Natural Eyebrow Pencil Brownette creates ultra-fine, hair-like strokes to fill in, shape and define eye brows for a long lasting and beautiful look. Elizabeth Arden Beautiful Color Smoky Eyes Pencil Smoky Black is a long-wearing pencil for a soft, powder finish. Use the smudge tip to create a smoky look. 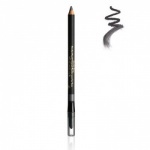 Elizabeth Arden Beautiful Color Smoky Eyes Pencil Gunmetal is a long-wearing pencil for a soft, powder finish. Use the smudge tip to create a smoky look. 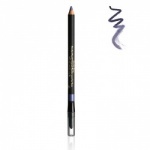 Elizabeth Arden Beautiful Color Smoky Eyes Pencil Black Violet is a long-wearing pencil for a soft, powder finish. Use the smudge tip to create a smoky look. Elizabeth Arden Beautiful Color Smoky Eyes Pencil Espresso is a long-wearing pencil for a soft, powder finish. Use the smudge tip to create a smoky look. Elizabeth Arden Beautiful Color Precision Glide Eye Liner Black Velvet gives you intense and buildable colour that lasts all day. Elizabeth Arden Beautiful Color Precision Glide Eye Liner Slate gives you intense and buildable colour that lasts all day. Elizabeth Arden Beautiful Color Precision Glide Eye Liner Blackberry gives you intense and buildable colour that lasts all day. Elizabeth Arden Beautiful Color Precision Glide Eye Liner Emerald gives you intense and buildable colour that lasts all day. 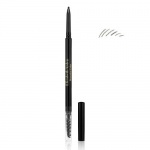 Elizabeth Arden Beautiful Color Precision Glide Eye Liner Java gives you intense and buildable colour that lasts all day. Elizabeth Arden Beautiful Color Precision Glide Eye Liner Sapphire gives you intense and buildable colour that lasts all day.